Chris Gayle smashed five sixes against Bangladesh in the third and final One-Day International (ODI) at the Warner Park in St Kitts to become the most number of six hitter in International cricket. The swashbuckling West Indies batsman, who scored a blistering 73-run from 66 balls equalled Afridi's feat of identical number of sixes. Both the batsmen now hold 476 sixes to their name.Gayle achieved the feat in 443 matches while Afridi reached the mark in 524 matches. 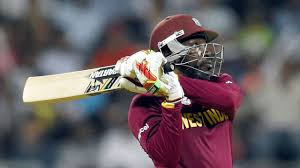 However, Gayle's power-packed knock on top of the order failed to help West Indies clinch a ODI series victory against minnows Bangladesh -- who won the series 2-1. Gayle, however can surpass Afridi to become the most number of sixes hitter when West Indies take on Bangladesh in the first of three-match Twenty20 International (T20I) on August 1. The 38-year-old Gayle has played 81 matches less than Afridi in international cricket. Although, he has played five more innings on his way to the milestone. Afridi has hit 351 sixes in ODIs, 73 sixes in T20Is and 52 in Tests. Gayle on the other hand has scored 275 sixes in ODIs, 103 sixes in T20Is and 98 maximums in the longest format of the game. Meanwhile, Mahendra Singh Dhoni is fifth on the chart with 342 sixes from 504 matches.